Corrupt officials in Russia make $US 33 billion a year from bribes, equal to a third of the national budget. 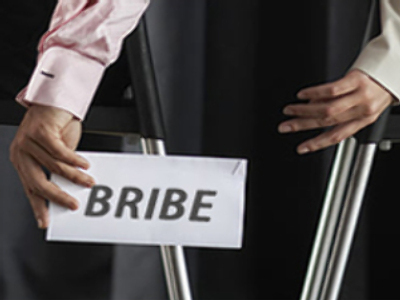 Since the beginning of 2008, over a thousand bribery investigations have been launched – a record figure for the country. The figures were announced by Alexander Bastrykin, the Chairman of the Investigation Committee at the Prosecutor General's Office. The Committee was founded in May 2007. Recently, corrupt bureaucrats have been getting caught more often. And currently, Bastrykin said, criminal cases against top federal and regional officials are being investigated. However, despite the government’s attempts to change the situation, corruption still remains one Russia’s major problems. The Committee says over 14,000 corruption-related crimes were registered in the first quarter of this year – which indicates almost a 10% increase compared with the same period of 2007. According to INDEM (Information Science for Democracy), businessmen spend about $US 33 billion bribing officials, while $US 3 billion goes towards everyday bribes. Meanwhile, on June 3, a chief inspector at Moscow's financial watchdog has been detained on suspicion of taking bribes. Sergey Smirnov is accused of extorting $US 21,000 from a Moscow businessman after discovering a financial irregularity during an audit.